If someone told me in high school that I’d be making the bulk of my income through writing, I’d have cried. I wasn’t a very good writer, mostly because I couldn’t organize my thoughts or express them well, which are two crucial skills for writing. And yet, here I am, earning a living at home as a blogger, freelance writer, info product creator, and author. How it happened was mostly by accident and necessity. What I’ve learned is that there are many opportunities to make a living with words. Even better, while you do need to be able to string words together coherently, you don’t need a degree in English or journalism to be a successful writer. Writing is one of the best ways to make money online. In this article, I’ll show you 8 ways you can turn your words into income. Note, this won’t cover book writing, as it’s one of the harder ways to build up a steady, regular income. However, if your goal is to get the words rattling around in your brain out into the world, writing a book is a great way to make it happen. Just know that it’s harder to make a living as an author than it is as a paid writer. Content is king in any publication. Especially for online resources, the need for quality informative material is high. The pay for online content isn’t as high as as for print, but it’s slightly easier to break in. Plus, online usually publishes and pays quicker. If you’d like to be an article writer, start by making a list of topics you can write about. It’s often easier to break into writing when you have some knowledge or experience of the topic already. Next, write a few sample articles that you can use to show off the quality of your writing. You might even consider starting a blog or having a website where you can post your samples. learn how to write a query letter. This is a letter that pitches your idea to a publication. Finally search for publications that post content that you write. Read their submission guidelines and follow the instructions. The biggest gripe of editors is writers who don’t follow directions. If you’re more literary inclined, many magazines (online and off) buy poems, short fiction and creative non-fiction. You can search Poets&Writers database for markets that pay creat. Many blogs in particular need new, quality content regularly and are willing to pay for it. 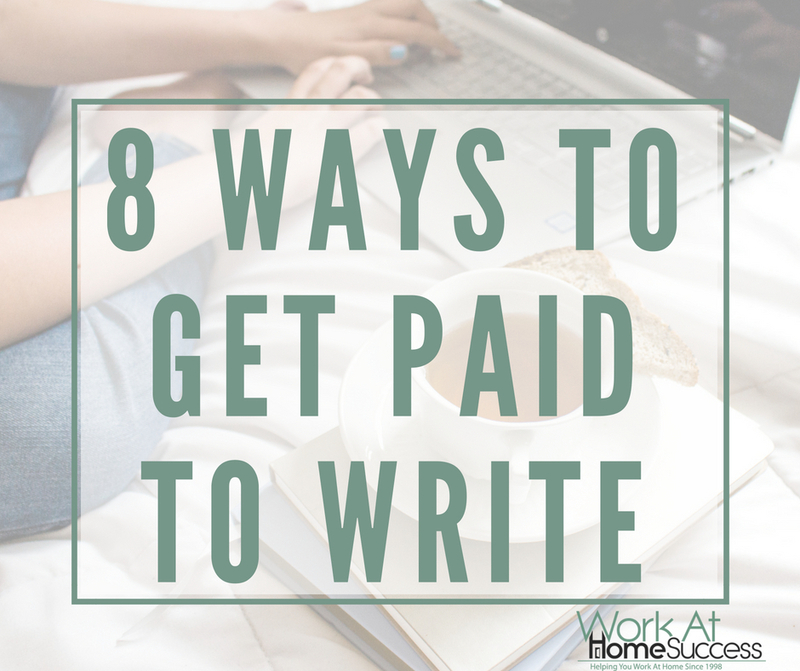 As a freelance writer for others, you can have steady work (and income) by creating content. Instead of a one-off article to a magazine or website, you’re hired to create content on a regular basis. These jobs tend to pay less per piece than a one-off article, but if you can get several clients who ask for regular submissions, you can build a steady income. For example, if you have 10 clients who want two blog posts a week (total of 20 posts), paying $25 a post, you’ll be earning $500 a week. If you can write persuasively, then you might want to consider copywriting, which involves writing sales pages, advertisements, PR materials, and other business and marketing related items. It’s usually more lucrative than other forms of writing. In some cases, you can even earn royalties if your sales materials are effective in achieving results. Years ago I took AWAI’s copywriting course and found it to be very good. It helped me create effective marketing content in my own business. However, Elements of Copywriting is also good at covering what types of materials you can expect to write and tips to quality copywriting. Steve Slaunwhite’s Start & Run a Copywriting Business provides a good overview on how to start a business as a copywriter. Most think of ghostwriters as writing books, but many bloggers hire ghostwriters as well. Ghost writing can be difficult to break into, and it has the added negative of not giving you writing credit. But it can be lucrative and fun. Many professionals (Realtors, psychologists, etc) who write books hire a ghostwriter because while they have the knowledge, they need help organizing and putting their thoughts into words. The trick to good ghostwriting is the ability to convey the client’s message in his/her voice and style. Copywriting jobs can be found on writing job boards. In terms of ghostwriting celebrity tell-alls, you’ll likely need an agent or an in with a major publishing house. There is a skill to writing a good review. You need to be able to express your experience with the product, highlighting what was good (and why) and what wasn’t good (and why). A simple, “I liked this. It’s a great product that does what it says,” isn’t enough. Reviews need to help consumers understand if the product will work for them. If can do that, there are a few places that you can get paid for reviews. Kirkus is often hiring book reviewers. Review Stream has a variety of products you can review. Software Judge pays for quality software reviews. Are you able to write sonnets, funny versus, and other poems that express just the right message for the right situation? Many companies pay for such items. In most cases, you pitch your writing to greeting card companies the same way you pitch a magazine article. Below are a few companies that accept greeting card submissions. Eighty-one percent of the population says they have a book in them, but almost none of these people ever write it. If you have something to share, and can get it down into words, you have many options for turning it into a book. Getting a traditional publisher is a challenge, but not impossible, especially if you’re willing to consider ebook. Or, you can DIY-it and self-publish your book in print and/or ebook. 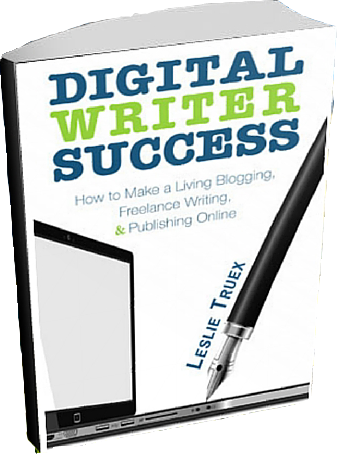 If you’d like to know more about how I make money with words online, check out Digital Writer Success. With step-by-step instructions, worksheets, examples and tons of resources, Digital Writer Success: How to Make a Living Blogging, Freelance Writing, and Publishing Online provides everything you need to get started making money writing in the digital marketplace. How to quickly, easily, and affordably set up a blog that makes money through a variety of income-stream options. How to market blogs, freelance writing services, and books. How to get hired to write content for businesses and online media sources. Ebook publishing from start to finish including how to pitch digital publishers or self-publish through major e-tailers, such as Amazon, Barnes and Noble, iBooks and more. Systems and tools to save time and effort when managing and marketing a writing career. Grab your copy of Digital Writer Success at Amazon. Do you get paid to write? Or do you have questions about getting started a writer? Let us know in the comments below.